'Architecture' Mini Competition - Win DxO ViewPoint 2 Software! 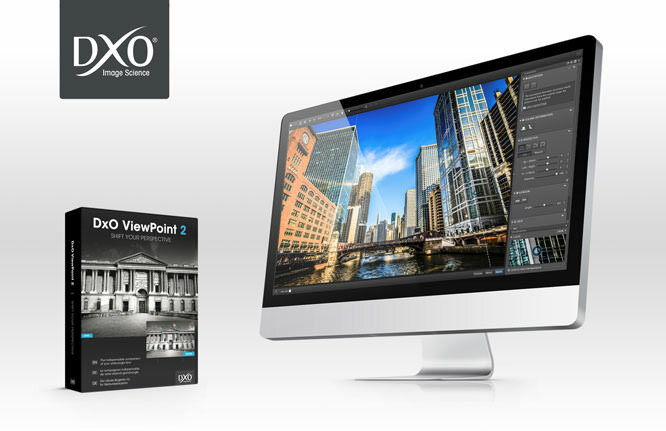 You can win one of three copies of DxO ViewPoint 2 software in our mini 'Architecture' competition! This week, we're giving you the chance to win DxO ViewPoint 2 software in our mini competition, courtesy of DxO. It's your last chance to enter, as the competition closes at midnight on 9 August 2014. DxO ViewPoint 2 was awarded 'Best Photo Software' at the TIPA Awards 2014, and is ideal for fixing perspectives and easily restoring the natural shapes of the subjects located along image edges. DxO ViewPoint 2 can be used as a standalone software or a plugin, offering simple visual tools for making spectacular corrections, along with advanced controls for unrivaled precision. Because DxO software is ideal for fixing perspective distortion, we want to see your best 'Architecture' photos. These could be of large modern skyscrapers, old manor houses, or even a small cottage in your local village. We want to see wide-angle images of the whole building, as well as close-up abstracts of the patterns and textures that they create. Get creative and show us your best 'Architecture' images! 2 entries are allowed per person, and this competition closes at midnight on 9 August 2014. For more information and to enter to win one of the 3 copies of DxO ViewPoint 2 software up for grabs, take a look at the competition page.